ABC6 Chief Meteorologist Kevin Coskren has always had a passion for weather. “I remember the blizzard of 1978 when I was growing up. I watched the snow pile up next to a yardstick outside the kitchen sliding glass door. There was lightning and thunder and during all this I wondered how it all worked,” Kevin recalls. Kevin’s quest for knowledge took him to the University of Notre Dame, where he earned a Bachelor of Science degree in Mechanical Engineering and to the University of Wisconsin, where he earned his Masters of Science degree in Meteorology. Kevin earned the AMS Seal of Approval in 1999 while forecasting weather for WKBT-TV in La Crosse, Wisconsin. In June of 1999, Kevin moved to Lincoln, Nebraska to become KLKN-TV’s first morning meteorologist. “I like to talk, I love forecasting weather and I love to teach,” says Kevin. “And I get to do all these things as a television broadcast meteorologist,” he adds. 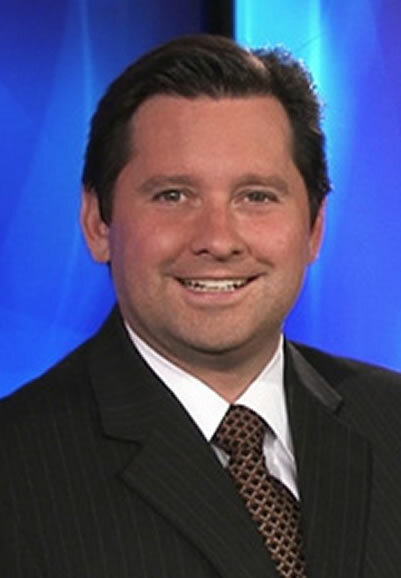 In 2001 Kevin was promoted to KLKN’s Chief Meteorologist in April of 2001. In his spare time Kevin loves to watch the Weather Channel; no surprise there. He also enjoys writing jokes, playing tennis and watching the Red Sox and Patriots on TV.